I decided to do a series on my favourite and most used hotels out there. When it comes to hotels we have so many options that sometimes it can be overwhelming. When I book a hotel I always look at the current value but also at the future value.What I mean by future value is all the, points, cash back and Avios or discounts i can receive. Because the hotel and tourism industry are so competitive there are always good deals. 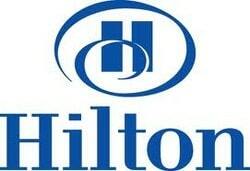 You just need to know where to look.One of the most well known names in the world is Hilton. I think sometimes it is more for Paris Hilton than their hotels but this is a different topic. Hilton has one of the most rewarding loyalty programmes for travellers, especially their Gold tier. Gold membership gives you a free breakfast and internet guaranteed for you and a guest, with a value of £50 a day. Also you get an upgrade and late check in/out upon availability. Usually you need 20 stays or 40 nights with them in order to get gold. But if you know the way around, you can have it for much much less, free basically :). I have a code for the FREE Instant Silver and Hilton GOLD status. If you are interested just email me elena@muslimtravelgirl.com. All you need to do in order to receive this benefit is to have three hotel stays with Hilton within three months. You do not have to meet any spending criteria for this, the hotels can be as cheap or as expensive as you want them. When I did my three stays, I picked the cheapest hotels possible, I believe my average night was £40 for two. Remember they need to be three stays, so one night each in three different hotels or the same hotel different days. You can sign up and use this offer from anywhere in the world! You do not have to be UK based. I love Hilton for the obvious reasons above, free internet and breakfast for two, but also because they are the ONLY hotel chain that gives you Avios/miles as well as their own points. They call it double dip and it is great. So far I have received thousands of Avios just from single night stays. The most rewarding in terms of Avios double dip is Iberia Plus, where you can sign up for free. With Iberia you are basically crediting your stay to them, this is 750Avios per stay approximately, not bad really. If you want the free code ( i think you should) then drop me an email or comment below. Could you please email me the code/instructions on how to get the Gold membership? Would be very much appreciated. Thanks! I would like to try for the membership. Please can you send me the code and instruction? Send me the code. …Thanks! I am to Hawaii, Japan and and Philippines next week, iA. The membership would definitely come in handy. Hello, would you please send me the code? Hilton does have a status challenge and a status match from other brand. There is not much difference however between Gold and Diamond levels with Hilton.